"At The Vintage Aviator Ltd we made the decision early on to try and reproduce early aircraft as accurately as possible." 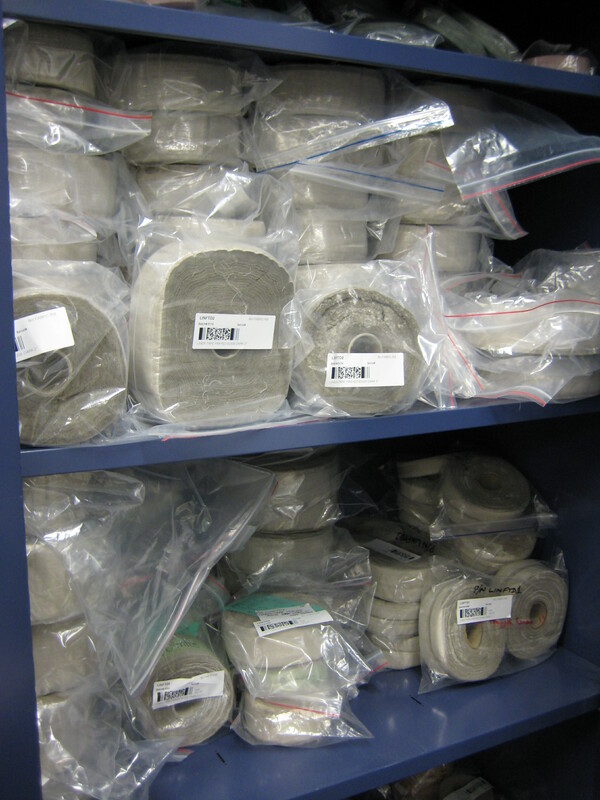 In doing this we like to use original materials and processes wherever we can. 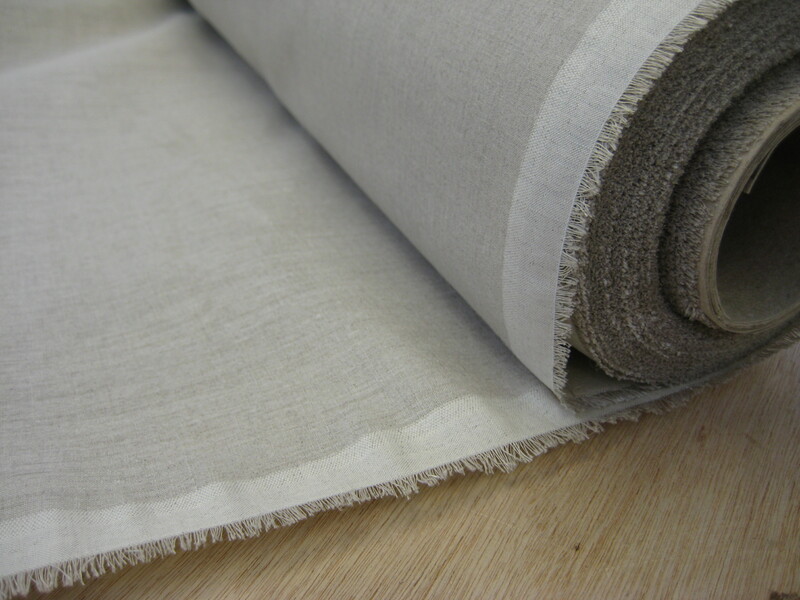 Deciding on covering materials and a finishing system was no different; we chose Irish linen for covering and nitrate and butyrate dopes to finish the process. Sourcing a good supply of linen was the first hurdle. Initially getting the linen in an untreated state so that it will shrink proved to be an issue. Finally when that problem was resolved getting it in a natural look was the next issue. 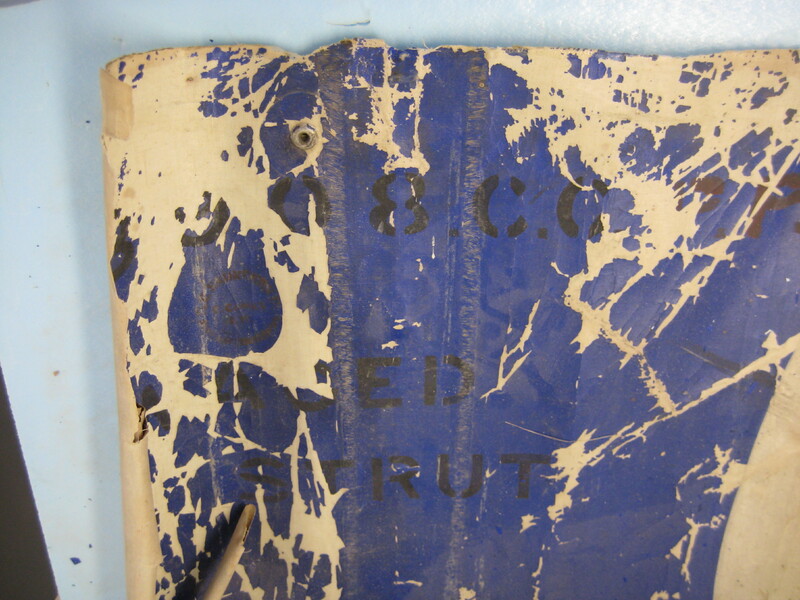 We tried some which was bleached but proved to be too light with not strong enough for aircraft use. The number of threads per inch was unacceptable and an uneven number of threads on the warp and weft caused the fabric to shrink one way better than the other. Ultimately a source of proper aircraft grade Irish linen was found, this fabric meets the original British Standard 9BSF1 specification. 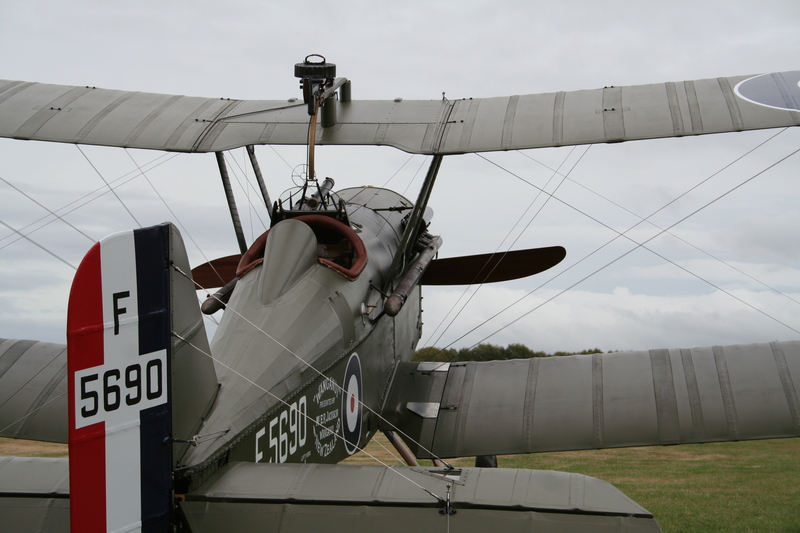 Additional specifications and manufacturing instructions were taken directly from the “Military Aeronautics Specification” dated 1916! 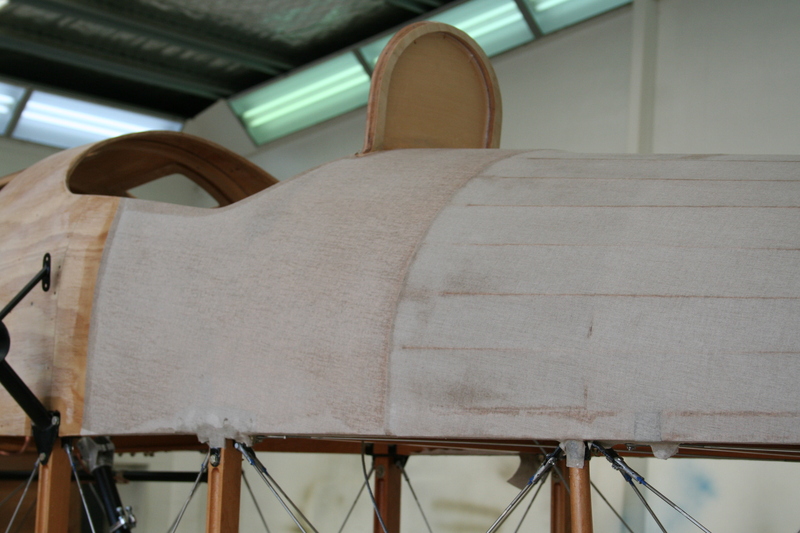 For Our SE.5a reproductions the unbleached “dark” linen would be perfect, but for early British aircraft such as the BE2 series and even the AVRO we would require a lighter colored fabric to represent the “Bleached” look of the original covering material. This proved harder to locate in the quality and quantity we desired. 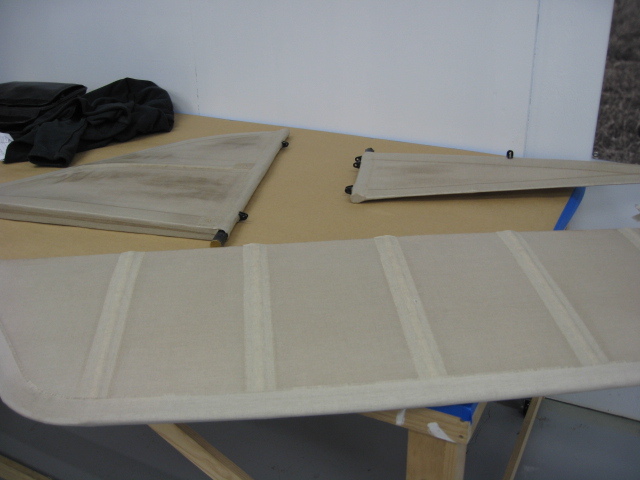 Another consideration was differences in mill runs, in order to prevent large differences in appearance we decided to order fabric in sufficient quantity to cover a number of aircraft. Once the supply issue was resolved, we then had to get tapes cut and then frayed to replicate the tapes used on the English SE5a. 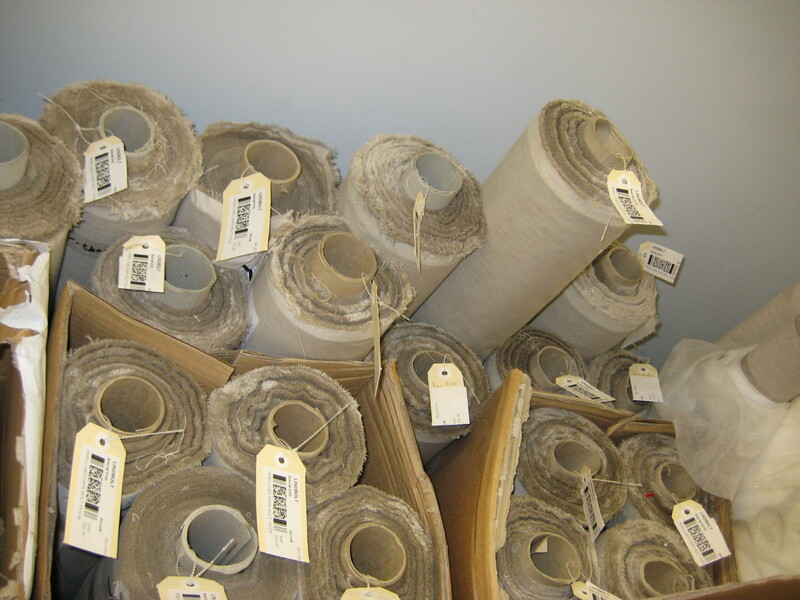 This improves the look and matches samples we had of original fabric coverings. Initially all of our tapes were frayed by hand, a time consuming tedious task that wears down even the most enthusiastic individual! 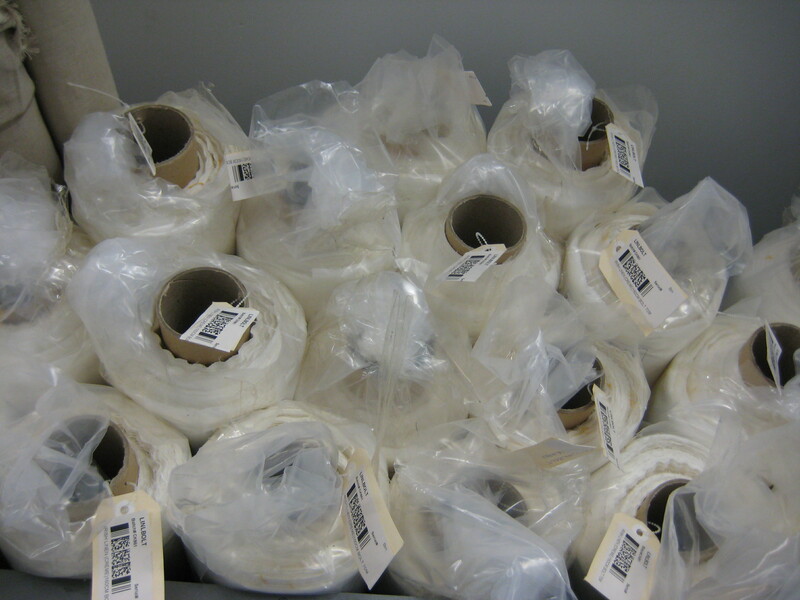 Fabric and tapes now in stock, research was carried out to determine the full system used to make bags, attach panels and shrink the Linen and finish in the colors of our choice. We found plenty of original drawings/plans with information regarding the stitching and construction of the envelopes, the number of coats of dope and number of coats of varnish but nothing with details on the actual process. We didn’t stop at this dead end, instead we set up test frames to determine what sequence to use and how much of each product was required to give the best results. In the end our process has given excellent results and is most likely very close to what would have been used nearly ninety years ago. A fantastic reference for covering aircraft is “Procedure manual 101 for the Ceconite Aircraft Covering Process” by Jon Goldenbaum. This book outlines all of the steps necessary to cover aircraft properly and problems that may be encountered. 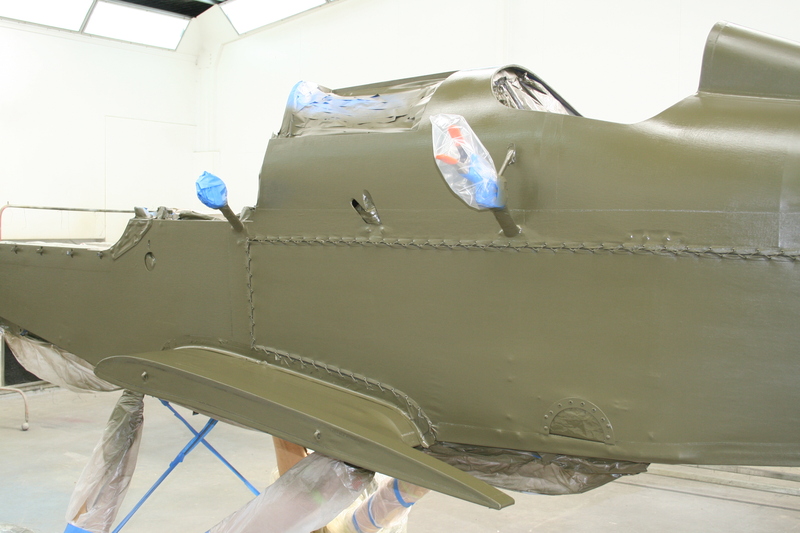 we have further adapted our covering procedures to duplicate the process used during the 1914-1918 time period. 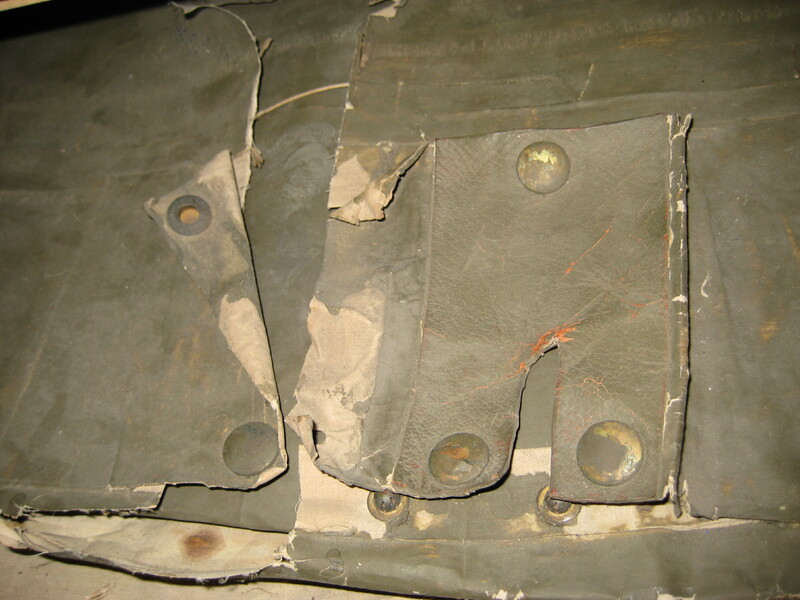 Some of the unique things that were done in this time period were clear doped undersurfaces, the frayed edge reinforcing tapes, leather reinforced openings and lacing major areas to allow for inspection / repair. 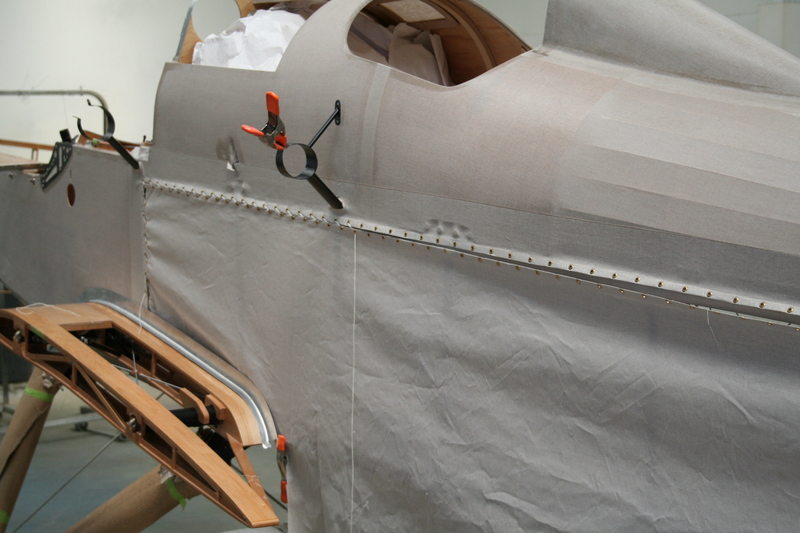 Like modern fabric covering systems the fabric is first glued onto the aircraft structure. After the glue dries the fabric is shrunk in some way, synthetic fabrics like ceconite are shrunk with heat, natural fabrics like cotton and linen are shrunk with water. 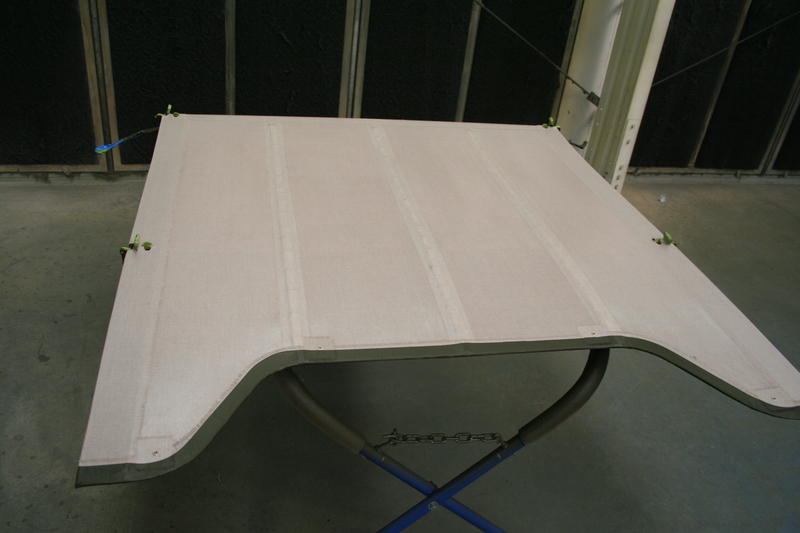 After the water has dried from the bare linen fabric it is surprising to see how much the linen has shrunk to become taught on the structure, ready for the first coats of dope. Clear nitrate dope is applied first and after several coats, the fabric begins to change from a limp bag to a glossy tight surface. After several coats of nitrate dope any reinforcing tapes, rib stitching and leather patches can be applied. 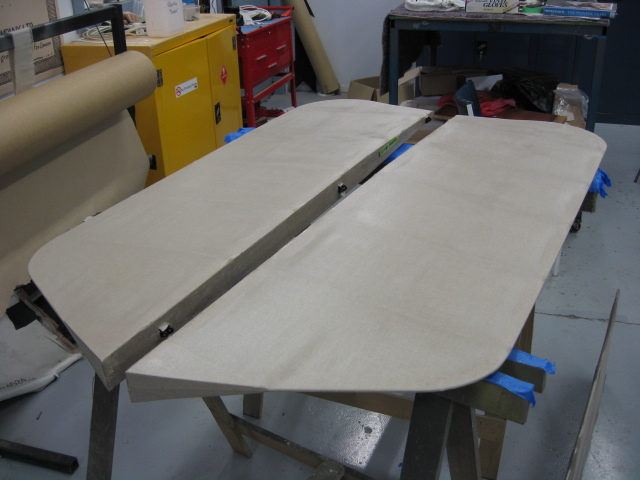 When designing the “bags” or “envelopes” that will cover components like an elevator or aileron we experimented to determine how much slack could be left in a bag and still maintain the “look” we required. In doing this we found out how labor intensive and unforgiving Irish linen really is. 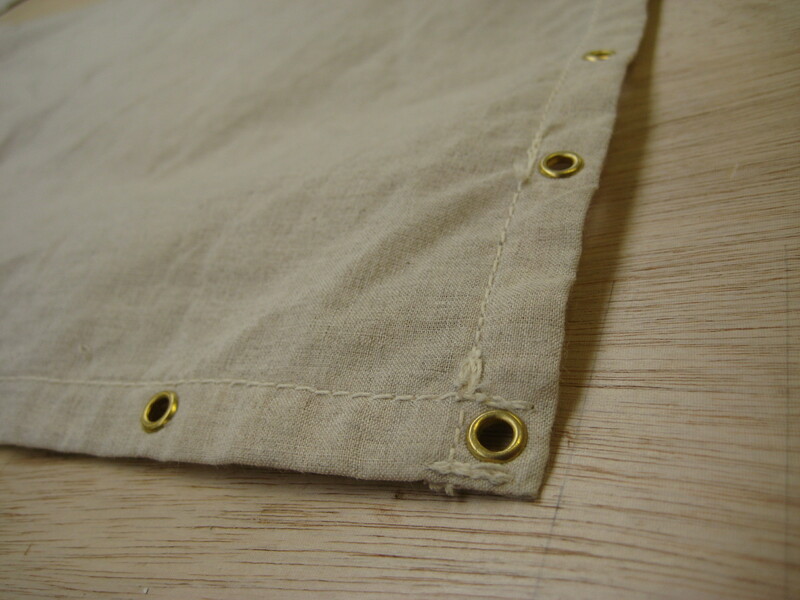 The bags require very close fitting to the component and this then requires lots of hand sewing and finishing. Today’s modern synthetic fabric, ceconite, is much more forgiving. Modern dopes claim to have tautening properties when applied to linen but we found a large variation in shrink rates per coat. This was caused by various factors like humidity, temp and the time between coats. This maybe acceptable when building one aeroplane and you can wait for optimum meteorological conditions but we needed to have a reliable process that could achieve the same result consistently. We installed a proper down draft spray booth that could control temperature and humidity. This allowed us to continue the painting process regardless of outside conditions. Like most crafts, attention to detail makes all the difference; with fabric work each panel or “bag” must be trial fit and sewn carefully to match the shape of the control surface otherwise wrinkles and sagging fabric impossible to remove will end up in the finished product. 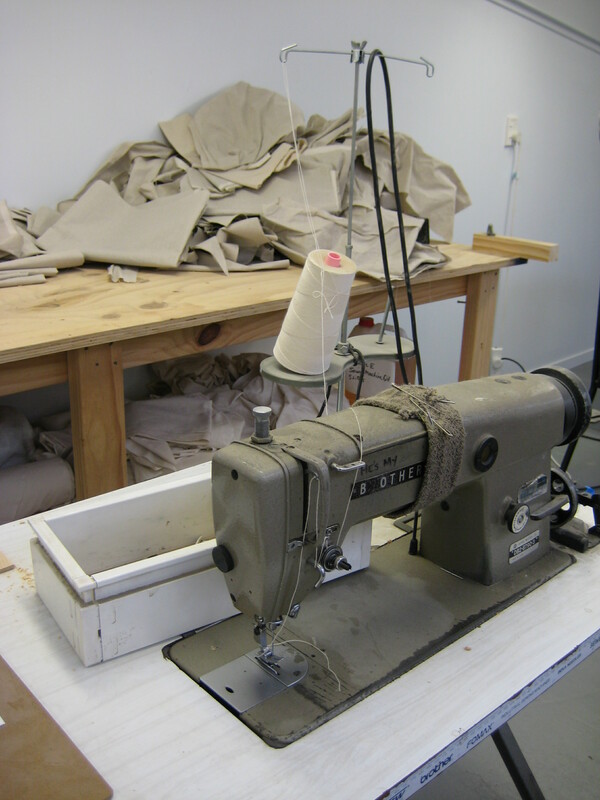 In most cases there is a combination of machine sewing and hand sewing to create the finished bag that covers a component. 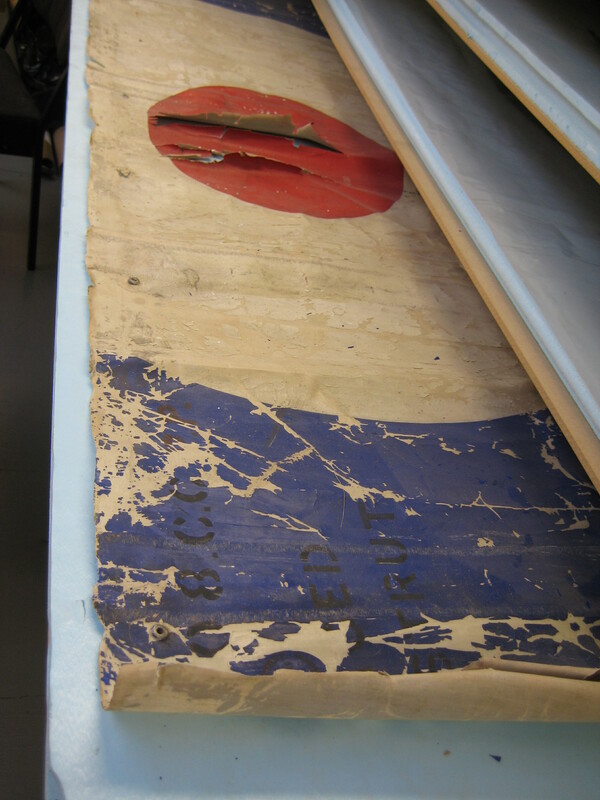 We are very fortunate to have acquired a wide range of original fabric samples, in fact we have nearly all of the fabric from our BE2f restoration project. This original fabric has provided some very good information on rib stitch spacing, fabric seams, reinforcing tapes, and even on stencilling. The original fabric has also given us some indication of the very colors used at the time. 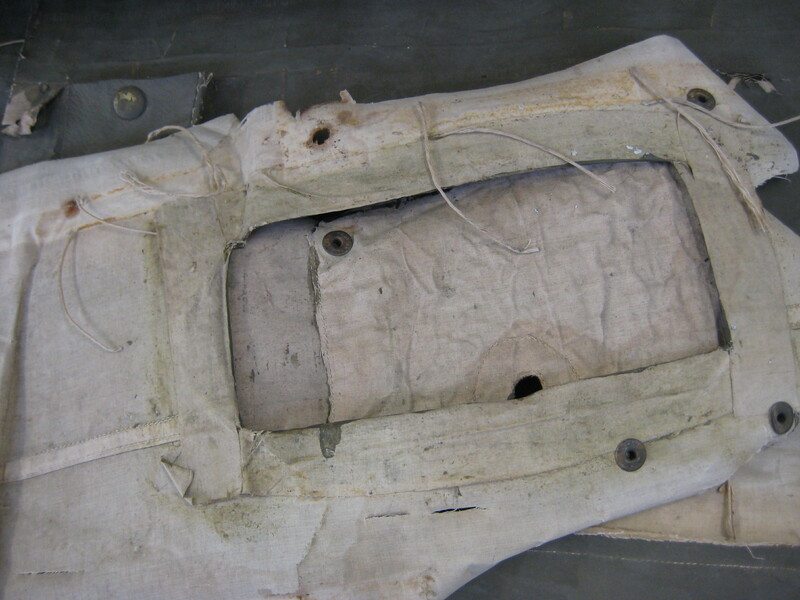 Many of the original inspection openings were Flaps” glued in place on one side to form a hinge and snapped with metal fasteners to close them. In some cases we have drawings which show exactly how the covering is to be applied and where any openings should be, these are very helpful indeed. Another fantastic discovery was the actual inspection openings and strut reinforcements found on original fabric samples we have preserved. From these bits of fabric we were able to determine the size shape and even tha materials used for these unique openings. So trial and error it was. Sample panels where made and various processes where tried. We eventually narrowed it down to a system which works reliably for us. 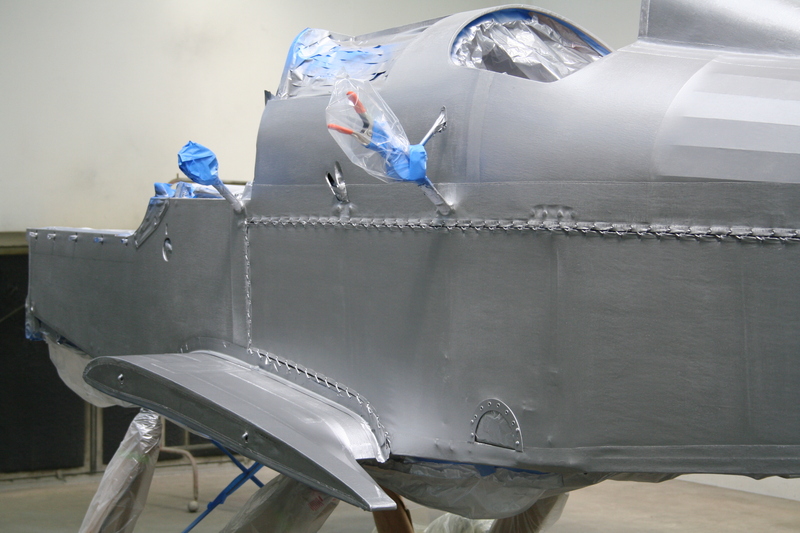 As time goes on we will work to duplicate the unique finishes on other aircraft such as the German “Lozenge” fabric and the French colors that seem to have a large silver content.